The Cheddar Challenge begins!!! This is where I am in the process as I type this on Sunday evening. 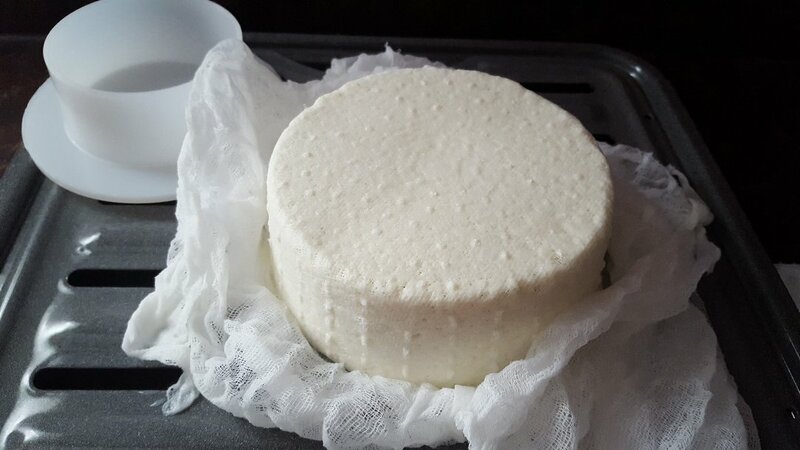 I started at 7am this morning and by 1pm I put the cheese back into its mold to sit under 40 pounds of weight for the next 12 hours. After that I have some work to do tonight and in a few days before it officially ages for the next three months!! First of all, I just want to say this was a lot of fun, but you really need to dedicate time and patience...have I mentioned that before?? Also, see the package where it says "Just Add Milk"? While that's true, you need more than just milk to buy (unless you have cheese making supplies!). I'll talk about that as I go along. 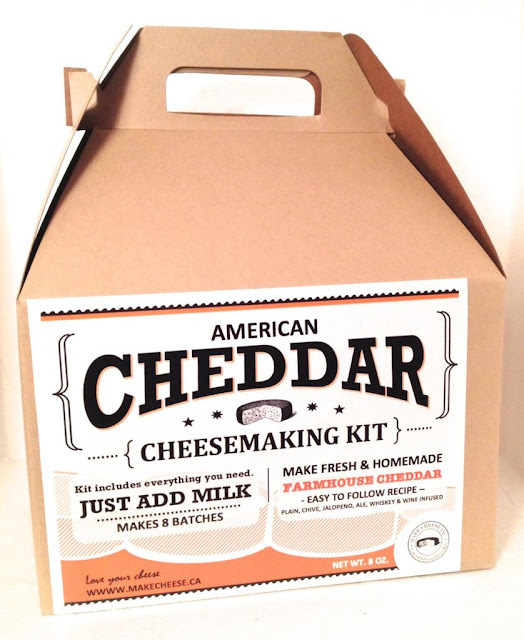 Here is the link to the PDF recipe for Cheddar Cheese. It's a very long recipe so I won't repeat it all here since I followed the instructions word for word. It's a bit intimidating at first, but it was so easy to follow! Cheddar doesn't have a lot of ingredients, just milk, bacterial culture, rennet and calcium chloride. 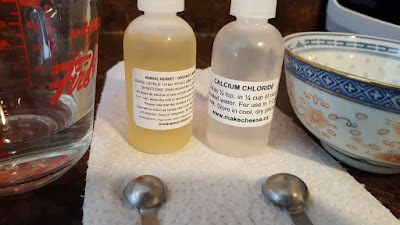 All of these came with the kit, but I also bought them separately for future cheese making. I'm starting to get interested in bacteria and mold...yes, I am. :) I need to learn more about these lovely ingredients that would otherwise give me the heebie jeebies. The Cheddar uses a Mesophilic Culture which is a culture that works best for cheeses like Cheddar, Monteray Jack and Feta. 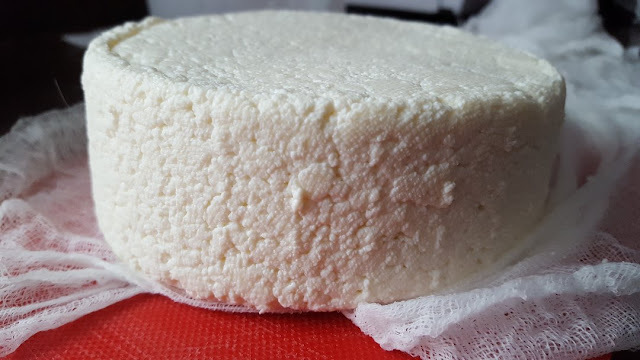 These types of cheese don't get heated to more than about 100 F, so the Mesophilic Culture works best at these lower temperatures. There is another type of culture Thermophilic, which works best at higher temperatures. For example, I'll be ordering and using some Thermophilic culture for my Pizza Mozzarella which will be heated to 185 F.
Here is an example of what you need that you might not have. A BIG double boiler. Sure, you could do this all on the stove top in your 12-quart pot, but it would be very difficult NOT to burn the milk and curd, plus keep the right temperature during the process. Another suggestion is to do it in the sink, using the sink as the "double boiler" but I couldn't see that it would be easy to keep the right temperature of the water plus our sinks are tiny. 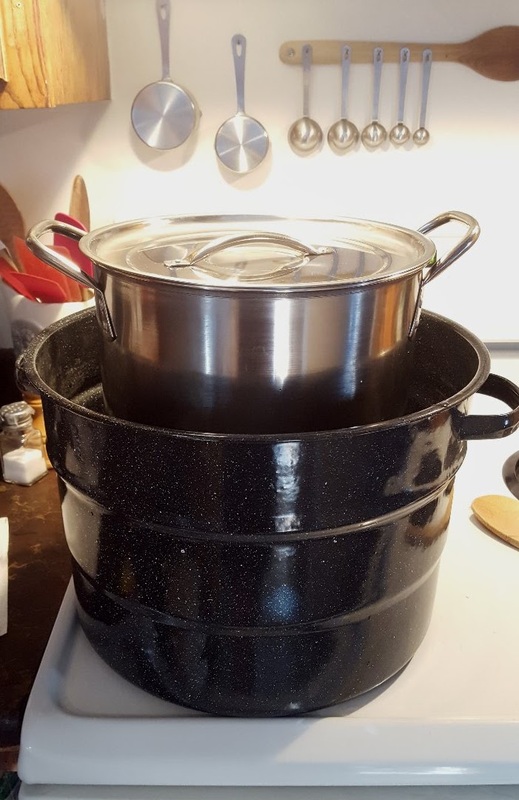 I was in a pinch so I used my water bath canner as my double boiler. 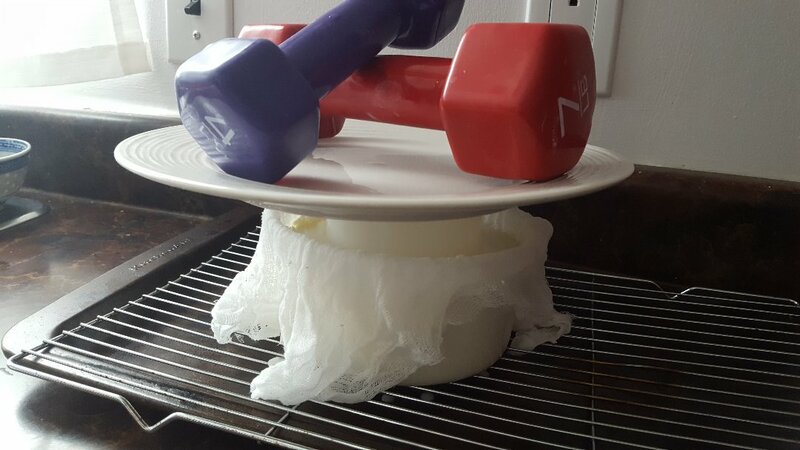 I put the Mason Jar tray upside down to hold my cheese pot; and filled it with enough water to reach about a third way up the cheese pot. This worked amazingly! 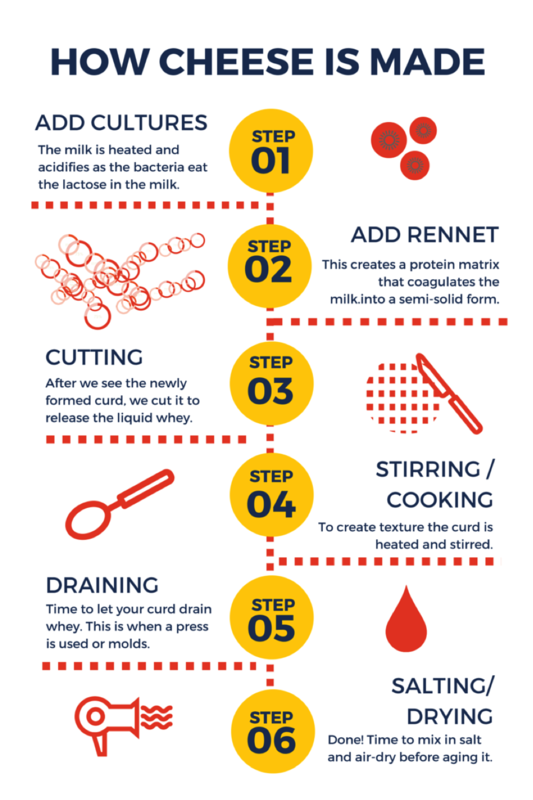 Just like the Mozzarella, you warm up your milk very slowly. 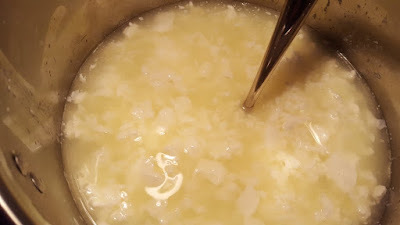 When it hits 88F, you add the culture and let it ripen for 45 minutes at 88 F. This is where the double boiler was essential for me, it really kept the temperature of the milk even. 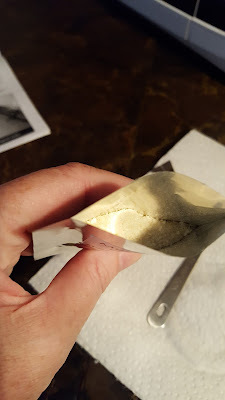 Then you add calcium chloride and rennet and again let it sit at 88F for another 45 minutes. This is the easy part because you have a little down time while you're waiting. 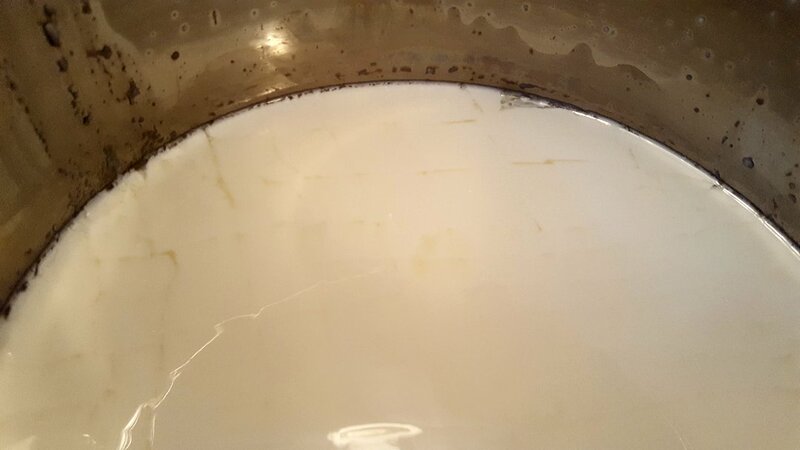 Just check the double boiler water every so often to make sure it's at 90F. That will ensure your future-cheese is doing fine! 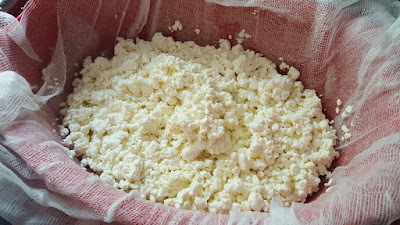 This photo shows the soft curds that formed at this part of the process, again, just like a soft tofu. 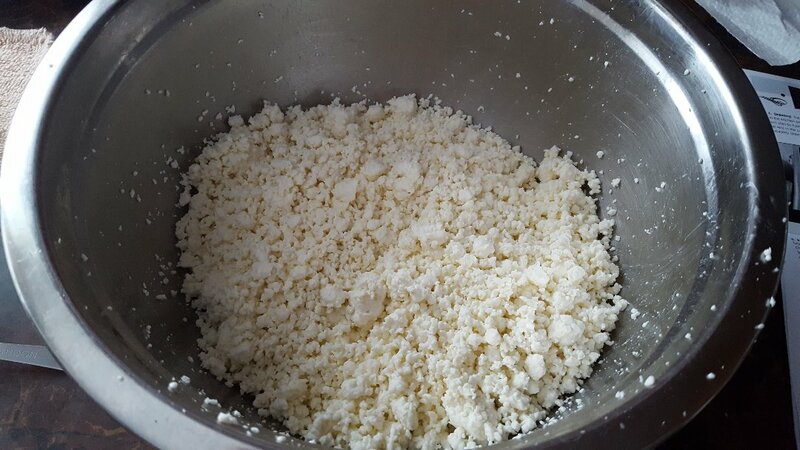 You carefully cut the curds to 1/2 inch squares then let it sit a few minutes. Curds after 10 minutes and 20 minutes of cooking. Curds after 30 minutes and 40 minutes of cooking. This step was all about patience. This step required me to stir constantly and very slowly for 80 minutes, yup! 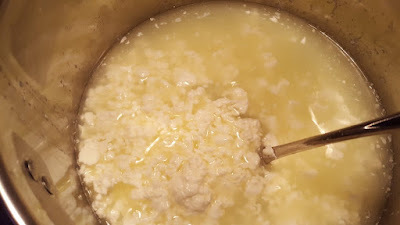 80 minutes!...while keeping the temperature to 101-102 F. The above photos show how the curd looked after the first 40 minutes, it was neat to watch it get more solid from a little tofu mess! I was happy to have my laptop on the counter to watch a few tv shows while I stirred, otherwise it would have gotten a little tiring! 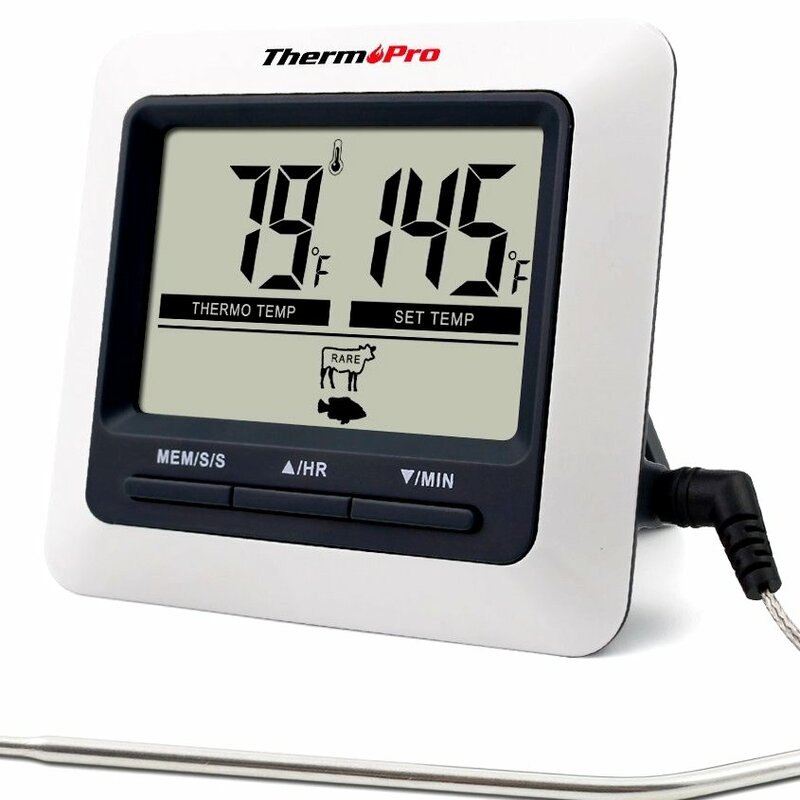 Something that would come in REALLY handy: a digital thermometer with a cable so I don't have to keep inserting my hand held one! I put this on my Christmas list for Alex! It has so many uses...the cable can go right into your meat in the oven while the temperature gauge rests on the counter...anyway, I just love this thing and it would help in the cheese making process too! This is my finished cooked curd after 80 minutes. 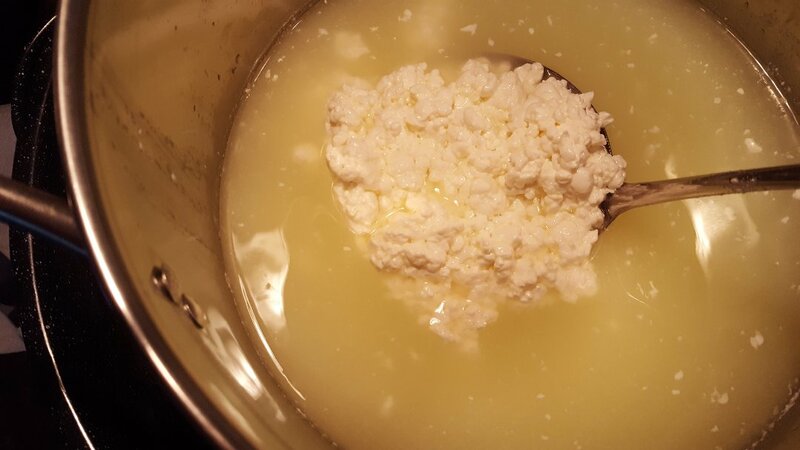 The slow and constant stirring encourages the curd to release the yellow whey to become a dryer cheese. 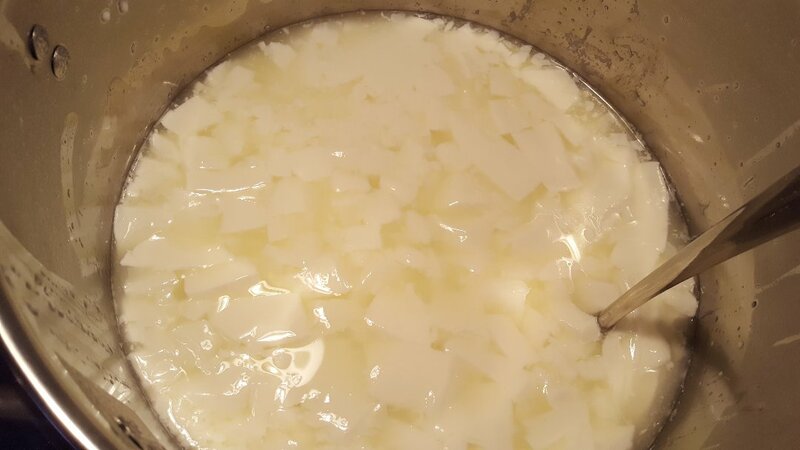 At this point, the curd is drained, broken apart and salted with various resting times in between. It kind of looks like poutine cheese at this point! First stage of pressing. At this point you shove all the curds into the cheesecloth-covered mold. 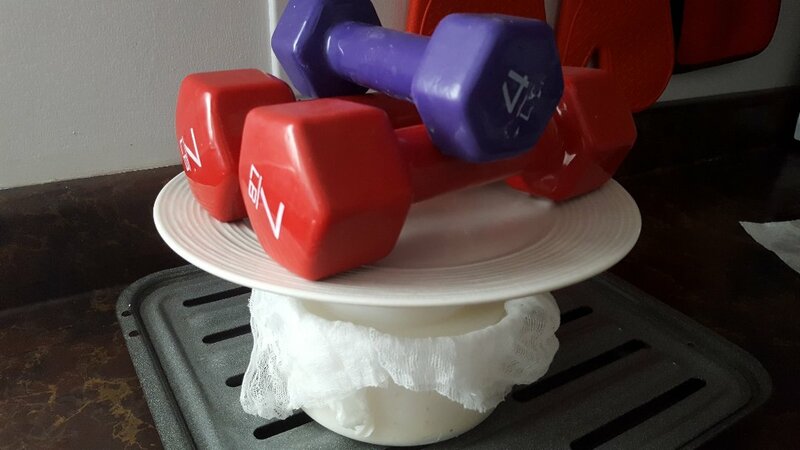 I needed to keep 10 pounds of weight on the cheese for 20 minutes. Good thing I lift light weights! I used my 7 pound and 4 pound dumbbells for this! This is how it looked in the mold after 20 minutes under 10 pounds of weight. I hope to have a real cheese press in my future!! It would make things a lot easier! The next thing was to gently remove the cheese from the mold and flip it over so the top goes back into the bottom of the mold for the next stage. I was so nervous at this point! But it was quite solid. I changed my set up a little. I took out my roasting pan for this because the cheese is supposed to drain. Another bit of creativity on my part since I don't have a draining board. In the very first stage, I used my cookie rack but soon realized it will bend under all the added weight so I needed something stronger. Second stage of pressing. Next up, I added seven more pounds to make 18 pounds total and pressed it for a further 20 minutes. Same thing, I had to flip it and put it back into the mold for the third stage of pressing. It was very solid at this point. So this is where I'll stop for now. 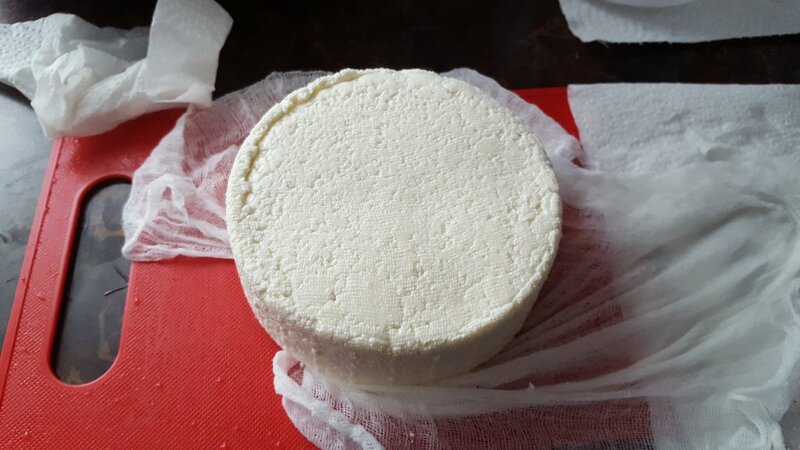 This is my Cheddar after 40 minutes of pressing. It is currently sitting hidden behind the microwave with 40 pounds pressing it for 12 hours. (40 pounds is 4 bricks and 2 of the seven pound dumbbells!) I had to hide it and barricade it from the cats!!! I finished the whole process 6 hours after I started and (unfortunately for me) I have to stay up until 1am to take the cheese out of the mold and prep it for drying. Alex offered to do it, but I want to be up for that part of it too! It'll stay in my drying container for the next few days...probably until Wednesday morning. At that point it'll be coated with "cheese coating" (it's orange); then aged for 3 months. I'll post about this next weekend! HOLY MOLY! This is quite a lot of work. And so fascinating. I had no idea it would have to age for that long. But it certainly makes sense. Looking forward to more of these adventures you're having. A mega posting. I never knew what was involved with making cheese. Can't believe you got up so early. That's dedication for you. 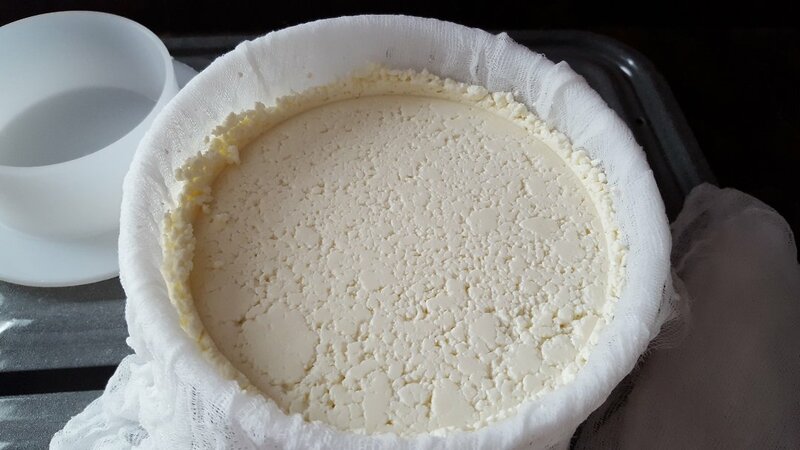 For any of us who do (eventually) get into cheese making, your posts like this one will be invaluable! All the pictures, along with your helpful words, are great. Thanks for taking the time and trouble to do this! Hi Martha :) Thanks :) Well, I'm aging it 3 months to start which is the minimum. I want to do a few others that age longer too, because we love the sharper older Cheddars. Thanks Terry :) If I'd known it would initially take me 6 hours I would have started the night before! Alex did the last part at 1am for me because I couldn't stay up even though I wanted to experience the whole process! Thanks Mama Pea :) You're very welcome! I want to be realistic with the cheese making. It's a challenge, but it's fun and rewarding too! 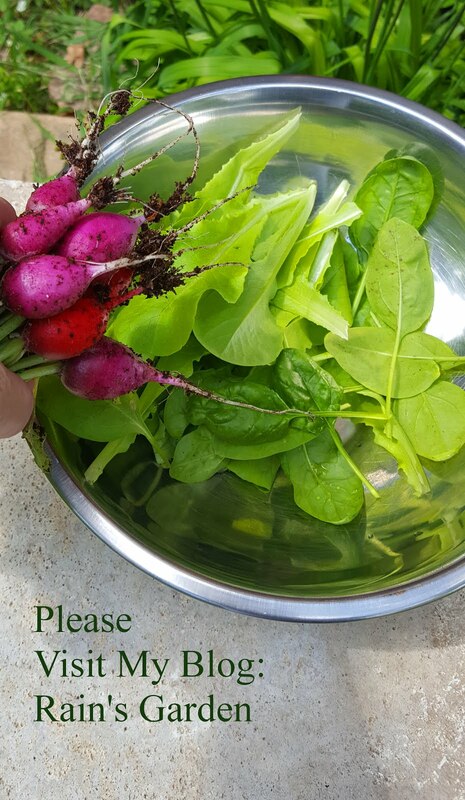 Fingers crossed for 3 months from now!! Hi Jenn :) It's going to be fun to watch the process of it turning into a hard Cheddar! 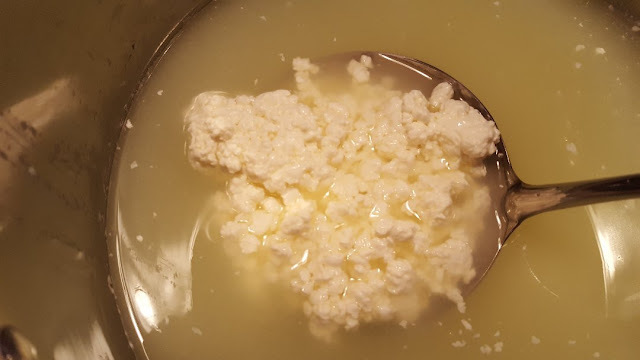 We have one place nearby that makes curd cheese, but when we went to sample their stuff, we both got sick. That's when I decided I wanted to try making my own! Well, that and the lousy quality of cheese out there these days! I'm glad you're enjoying it! 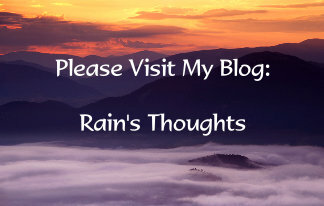 What a great blogger, poster and sharer you are! Great tips too! You have really paved the way! 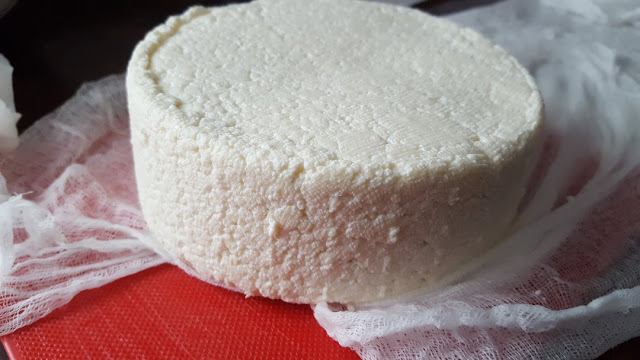 You are a pioneer for sure in the cheese making arena. This is so interesting and I definitely want to try it now but I think I will start with the easier cheeses first although cheddar would be my goal eventually. I use a lot of feta too. Great job and thank you so much for sharing it all.